For the first time in its history, Syncrude has shut down all three of its cokers and all remaining employees from its operations north of Fort McMurray. However, that means the company’s herd of 300 wood bison must be left behind. “Syncrude has left as much food and water as possible for the bison and they remain on site at this time,” said spokesperson Leithan Slade on Saturday. 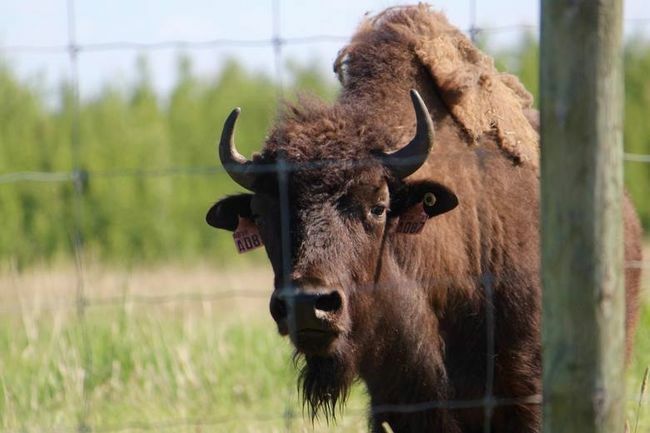 For more than twenty years, the herd at the Beaver Creek Wood Bison Ranch, which is located near the company's Mildred Lake project, have roamed 500 hectares of reclaimed land north of Fort McMurray. The ranch sits on top of a former open pit mine. Since 1993, Syncrude has used the ranch to demonstrate their reclamation efforts can support plants and animals native to the Wood Buffalo region. The project has been an enormous public relations victory for Syncrude. By Sunday morning, the Aurora and Mildred Lake sites have been fully shut down. The facilities are being monitored remotely. At 1 a.m. Sunday, the last flight carrying Syncrude employees landed at the Edmonton International Airport. No injuries were recorded in the evacuation. Two firefighting crews from Syncrude Emergency Response remain in Fort McMurray with other firefighters. Suncor also began evacuating employees from sites north of Fort McMurray Saturday, once officials realized the flames could hit the southern edge of its site in the area.